John Mullins, is Chief Executive Officer of Amarenco, a company which is focused on solar asset development, financing and ownership in Europe and the US.He is also non executive chairman of Heneghan PR. 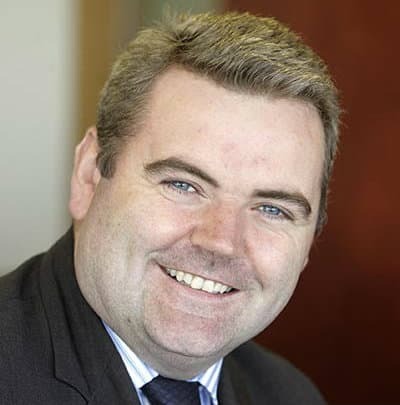 Previous to these roles, John Mullins was Chief Executive of Bord Gáis from December 2007 until the end of 2012. During this time, BGE established a significant electricity business, renewable and conventional generation assets. He has held senior management positions with ESB, ESB International, Pricewaterhouse Coopers(UK) and NTR plc. Group. John is a Fellow of Engineers Ireland and the Irish Academy of Engineering and is a member of the UCC Governing Body. He is also Chairman of the Port of Cork Company. John has served as Chairman of the Bord Gáis Pension Fund and now serves as Chairman of the Port of Cork Pension Fund. He holds a Bachelor and Masters degree in Electrical Engineering and an MBA from the Smurfit Business School in UCD, Dublin.